The ‘Sailing by’ website was launched as part of the OGA’s 50th anniversary celebrations in 2013. The site tracked the progress of the Round Britain Challenge fleet in 2013 alongside historic sailing tales from around the coasts and inland waterways of Scotland, England, Wales, Ireland, the Netherlands, Belgium and northern France. 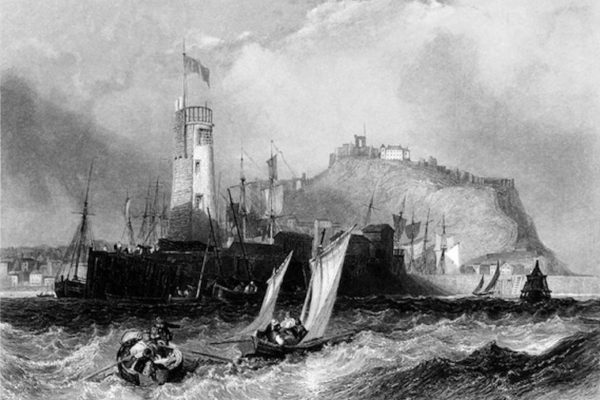 Historic ‘tales of sail’ have continued to be published on ‘Sailing by’. In 2017 the OGA Cruise in Company was Sou’ by Sou’West and in 2016 the cruises included tales from France as UK members of the OGA joined the French at Brest and Douarnenez in July and for the Celtic Cruise, departing Peel in August 2016. In 2014, tales were added as the fleet undertook a Dutch Cross Country Tour. 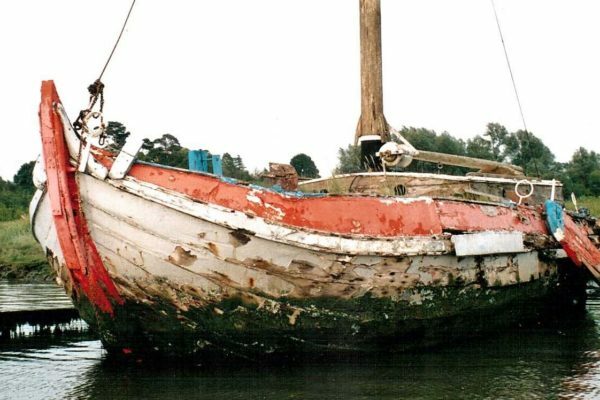 Visit the OGA online boat register to find out more about many of the boats mentioned in these ‘tales of sail’. The ‘Sailing by’ Editor is always happy to receive messages and contributions from you! 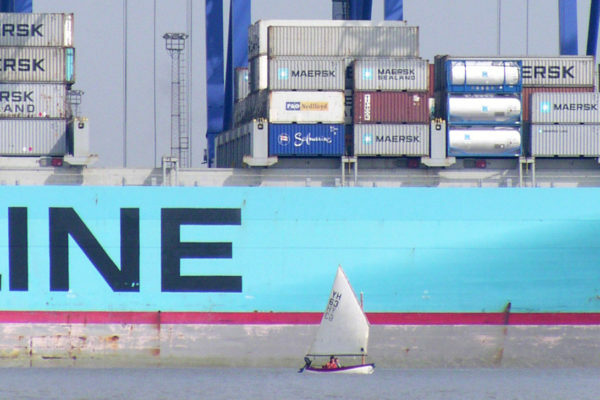 Many of the tales on ‘Sailing by’ are drawn from OGA Members’ blogs. For a list of blogs, visit the OGA website. 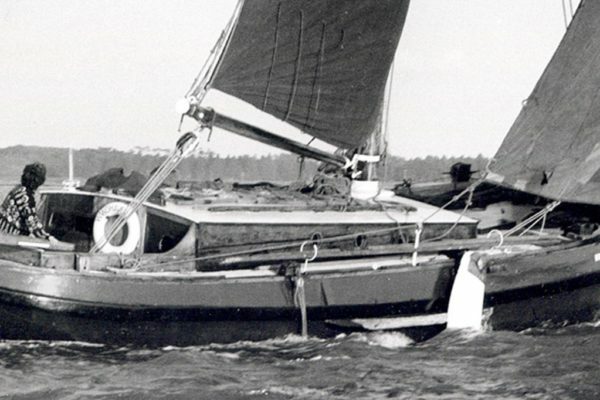 As you explore the tales already published here, why not think about contributing your own favourite historic sailing stories and images. We intend to maintain the website to include a wide range of ‘tales of sail’ for everyone to enjoy, so please come back to visit us again. 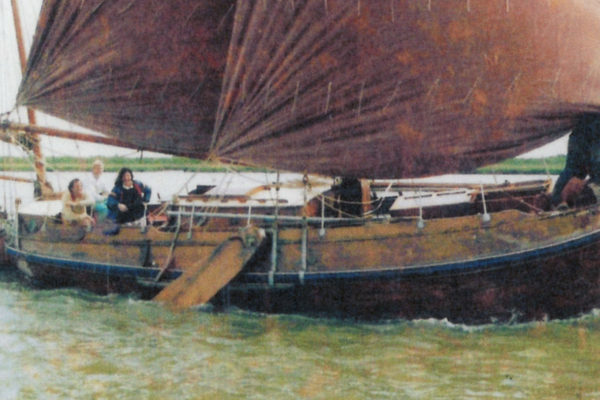 The aim of the project is to engage new audiences with an understanding of the richness of our maritime heritage through historic tales of sail and modern day sailing in classic and traditional boats. 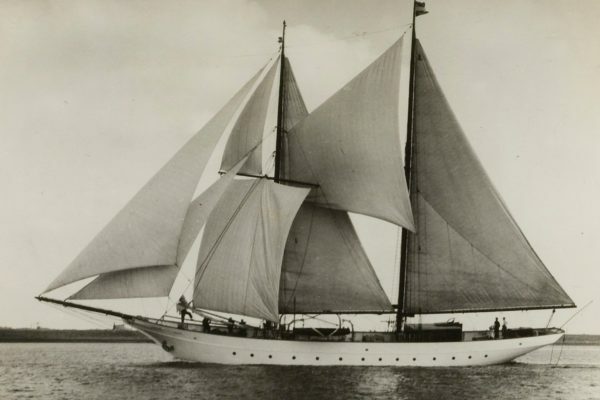 ‘Sailing by’ offers opportunities to share and explore historic sailing stories and we look forward to publishing contributions from Shetland to the Solent and across the North Sea to the Netherlands, through the English Channel to France, down the Bristol Channel, along the Atlantic coasts and across the Irish Sea. In 2017, 30 boats cruised the Solent and South West coasts, with a small group braving the challenging weather to reach the Scilly Isles. OGA Areas bordering the Irish Sea planned a Cruise in Company for August 2016. There was a successful muster at Peel, but the Cruise plans had to be altered due to bad weather. OGA Members’ boats left the UK and sailed in company to France during 2015 and, in 2016 40 boats joined the French OGA for the Festivals at Brest and Douarnenez. 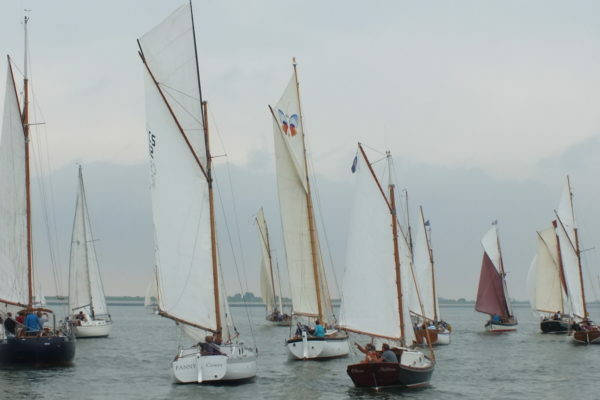 In 2014, a fleet of 70 Dutch and English traditional boats gathered in the south of Holland to cruise north in company to Den Helder. 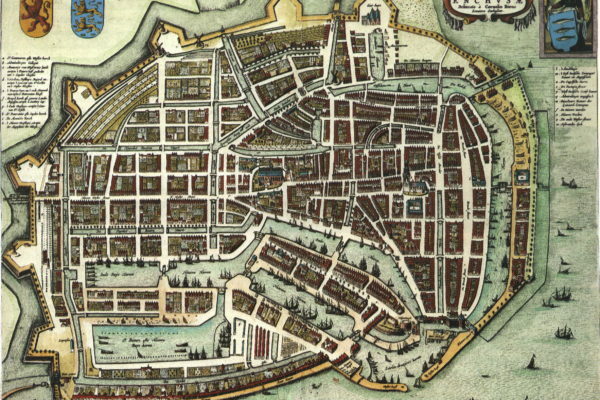 In April 2013, a small fleet of gaff-rigged sailing boats departed Heybridge Basin, near Maldon in Essex, and another from the Ijmuiden in the Netherlands, to circumnavigate Britain. The fleet grew, the majority travelling round the country clockwise, passing the East Coast again in July and finishing at Cowes on the Isle of Wight, 15 – 18 August 2013, for the OGA Jubilee Festival. 225 boats and a thousand people enjoyed celebrations, racing and other events in Cowes, with the solitary counter-clockwise circumnavigator from the Netherlands, ‘Snoopy’, joining the fleet at last. On passage around Britain, many ports, marinas and harbours, large and small welcomed the fleet and enjoyed the spectacle of classic and traditional sailing vessels. Content on the ‘Sailing by’ website is published under Creative Commons licence and credited to the creator and/or copyright holder, where applicable.